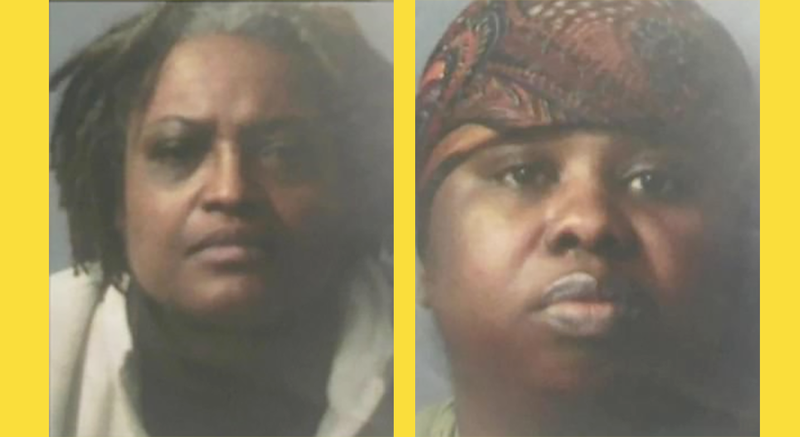 Two Haitian-American sisters – Peggy LaBossiere, 51, and Rachel Hilaire, 40, are accused of permanently disfiguring a five-year-old girl and threatening to kill her brother, 8 – as part of a voodoo ritual. When police interviewed the girls’ 8-year-old brother – he explained what happened. The boy told police that Reggy and Rachelle tied down his sister and conducted a VOODOO RITUAL on her. The boy says the ladies – who are considered WITCH DOCTORS – blew fire over the child’s face and cut her on the arm and in the collar area with a needle-like object, drawing blood. The girl said the women also poured over her eyes a substance that stung. Authorities said that in addition to threatening to cut off the boy’s head with a machete, LaBossiere had held a stick against his throat, constricting his breath and that she had made him remove his clothes so she could rub his boy with a ‘plant-life substance’ and blow fire over him. The voodoo sisters told police that they have performed ‘cleansing baths’ for family and friends in the past, something that involves chanting prayers, rubbing frankincense and eucalyptus oils and sea salt on their bodies, and burning myrrh.